Right Pilots. 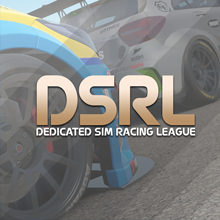 The signup thread for DSRL RC season 4 is open! The 4th championship consists of 6 rounds over 6 weeks in a single make car, the 2011 Subaru Impreza STi R4/ GpN 4wd spec. Each round involves running all 4 long stages of each country, 2 sprint stages and a win it or bin it power stage. An extra 3 points can be won on each power stage by simply being the fastest, but will it be worth it? Only you can decide. To be eligible for the power stage points you must A:Take a GAMECLIP of your Power Stage (run AND time) and B:Upload it to the DSRL xbox club WITHIN 24 HOURS OF EACH RALLYS END TIME with the title of the round (country) POWER STAGE! No show/DNS for 3 consecutive rounds without posting a reason: Immediate championship expulsion & banned from registering for the next DSRL RC season, GT recorded on driver probation list. *We expect all sign ups to participate in all scheduled rallies as they are each going to be live for a whole week. If you know you are going to miss a scheduled event we would ask that you message a DSRL admin/organizer and let them know before to ensure you are not penalized for it. Be warned that if you register to this championship and still heavily abuse the penalty system by not participating in season 4 rallies, you will likely be unable to register for future events and will also be noted as a poor participation driver on the DSRL, negatively impacting your driver reputation. This strict ruling was required to come in this season after far too many drivers showed a complete lack of commitment in season 3. IF YOU THINK YOU WILL MISS MORE THAN 2 ROUNDS OF THE 6 ROUND CHAMPIONSHIP, PLEASE DO NOT SIGN UP. *Racenet will show a 7th championship round, please do not submit a stage time for this. It is merely to add a cool down period and allow admin to collate all the info. *PLEASE save a screen shot of your Event finishing times. This may be needed in the event of a Racenet failure (common these days). If required and not provided no points can be issued to the individual/ team without proof of their final time. IMPORTANT: When you have posted the signup form, Search for "THE DSRL RC" on racenet or follow this link https://www.dirtgame.com/uk/leagues/league/66869/the-dsrl-rc and your request to join will be accepted once confirmed. Many thanks for your patience and support. Here's hoping you all enjoy the FOURTH DSRL Rally Championship! Up for this, heads up though, I'm off to La Palma for a week from the 8th December, so whatever event is on that week I'll probably miss out. I trimmed down the DSRL RC Racenet league roster the other day to only keep drivers who had started at least two rallies last season. This was to remove many drivers from seasons 1 and 2 who hadn't participated for months. The League roster went from around 70 down to 25 in the cutoff so please double check if you are still listed in the league roster if you want to be in DSRL RC: S4. If you find yourself removed from the racenet league but would like to be a part of season 4... please submit a new request to join on racenet (must be registered in this thread first) and it will be accepted before round 1 starts.